The second night of MOFF was reserved for movies „The Train Driver’s Diary“ directed by Miloš Radović and „On the Other Side“ directed by Zrinko Ogresta. Screenings took place at the Croatian House of herceg Stjepan Kosača. Audiences in Mostar showed appreciation for program „DocuSpectre“ where documentary „The Other Family“ was shown. Zdenko Jurilj directed the documentary that tells a touching story about Humanitarian Association “fra Mladen Hrkać”. The little ones were having fun watching “Šegrt Hlapić“ and first movie discussions began with protagonist of movie “Dead Fish“, director Kristijan Milić, screenwriter Josip Mlakić and actors Dragan Despot and Dražen Mikulić. For relaxing part of the evening there was band Elmental from Zagreb, creating fabulous atmosphere in Mostar’s Golden Pub. On Saturday our film association starts with director Danilo Šerbedžija. There are also projections in programs „Children Classics“ and „DocuSpectre“, and we start with screenings of students films. 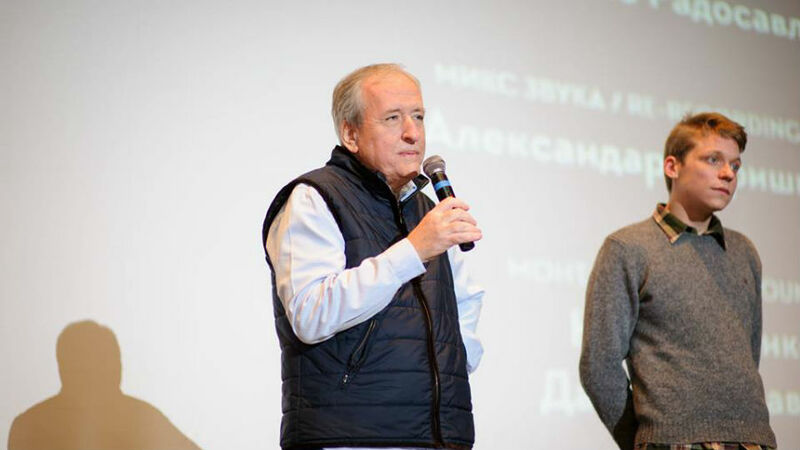 Competition program will show movies “Liberation of Skopje“ and “Death in Sarajevo“, BH candidate for Oscar.